Welcome to Bitz Tire and Service. 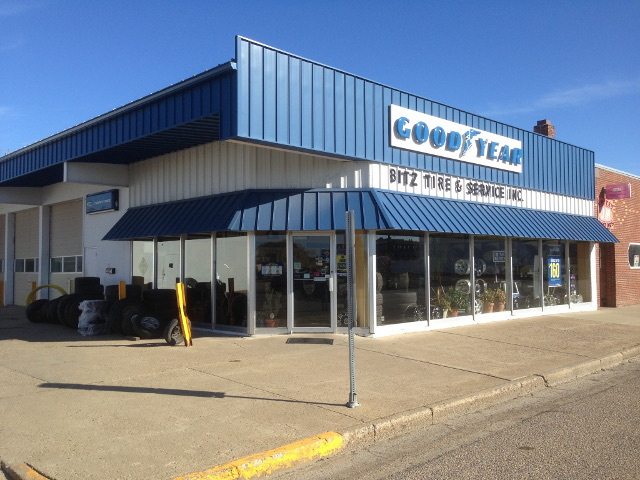 Bitz Tire and Service is a locally owned and operated independent Goodyear dealer with a full service department. Between Todd Anderson and Brian Bitz we have over 20 years of tire and auto service experience to better serve our customers. We offer several brands of tires including Goodyear, Dunlop, Kelly, Cooper, and Hankook. We also sell a wide variety of custom wheels. Our two tire service trucks are available to help you with your farm or emergency roadside services. In the service department our ASE Certified mechanics can help you with everything from oil changes, to alignments, to major mechanical work including computer diagnostics. We are here for your automobile service needs. Store Hours are Mondays thru Fridays 8am to 5:30pm and Saturdays 8am to 12 noon.